Most of the buildings of downtown Brussels have been built with artificial materials such as bricks and concrete. Natural construction stones are not very common around this city, therefore using artificial construction materials is quite common in the region. 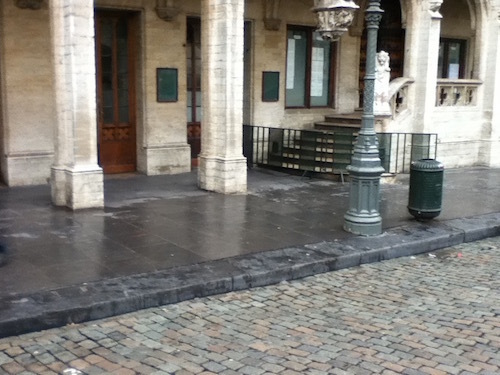 However, some streets and squares of Brussels have been paved with a dark limestone (see photograph below) with a very rich and interesting fossil content.